Notes The Marder was a series of tank destroyers developed by Germany. The concept materialised when it was found that early marks of the Panzer II and IV were struggling to defeat the Russian T-34s and KV-1s. The first Marders (or Marten) were built on either the chassis of captured vehicles of obsolete German tanks. 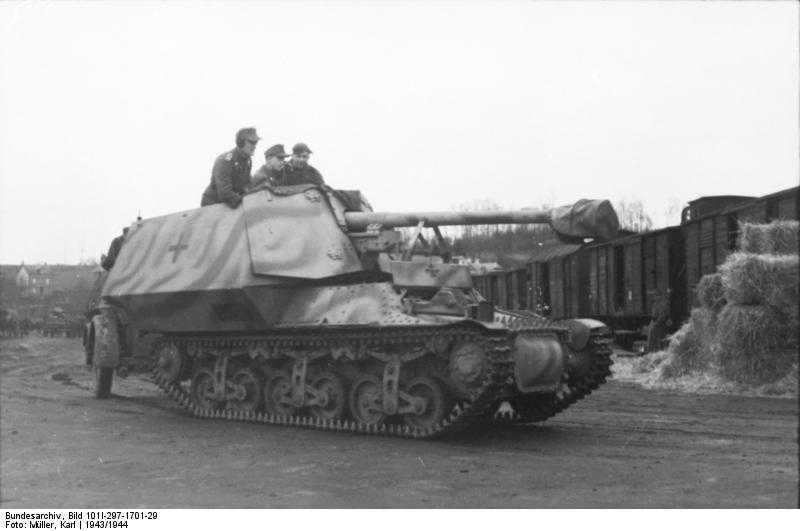 The Marder I was built on the chassis of the French Lorraine tractor which was captured in large amounts in 1940. It featured an armoured open topped fighting compartment and carried a 75mm PaK 40 gun. The fighting compartment was thinly armoured and could only protect the crew against small arms fire. It served mainly on the Russian front but many were issued to German units operating in France.